NEW WORKSHOPS: Adam’s ONE-DAY TAOIST/TANTRIC MASSAGE INTENSIVE WORKSHOPS are being planned for the coming season. Would you like more information? Contact me at :adam@heart-centeredtouch.com for a flier or to discuss bringing this workshop to your area. 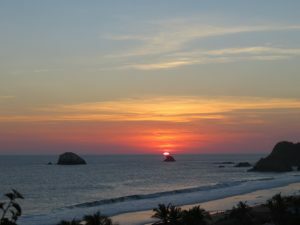 2020 TANTRA & TOUCH RETREAT in ZIPOLITE, MEXICO: SAVE THE DATE !! Space will be limited to 18 men. Daily Massage, Tantra and Meditation classes are on site at our guesthouse with plenty of time to practice and work on skills. Morning Chi Kung (Taoist Yoga) and Afternoon Movement Classes followingTaoist and Tantra Principles. Other Activities include: Traditional Mexican Sweat Lodge, Group Dinners; Sunset Yoga and Excursions. We gather January 25th, 2019 in an ideal retreat spot on Mexico’s southern Pacific Coast. A clothing-optional beach and gay-friendly town with southern- Mexican charm. Great restaurants with fresh, local fare and affordable prices. Our guesthouse – La Loma Linda – overlooking the ocean – is a taxi ride from the nearest airport in Huatulco – There are some non- stop flights from Houston to Huatulco. This entry was posted on Saturday, February 20th, 2010 at 10:30 am	and is filed under carousel, Community & News, Featured Articles. You can follow any responses to this entry through the RSS 2.0 feed.